The Entlebucher Mountain Dog has the independent spirit of other herding breeds, but still relishes spending time with his people — especially if they give him a job to do. He can be territorial and will bark to warn you of visitors. See below for complete list of Entlebucher Mountain Dog characteristics! 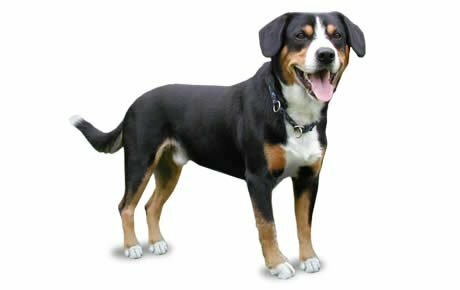 The Entlebucher, or Entle for short, is a Swiss herding breed related to the Appenzeller, the Bernese Mountain Dog, and the Greater Swiss Mountain Dog; of the four, he's the smallest. He's known for his intelligence, personable attitutude, agility, and loyalty. He's independent and self-confident, yet he bonds strongly to his person and is happiest spending the day at his family's side. 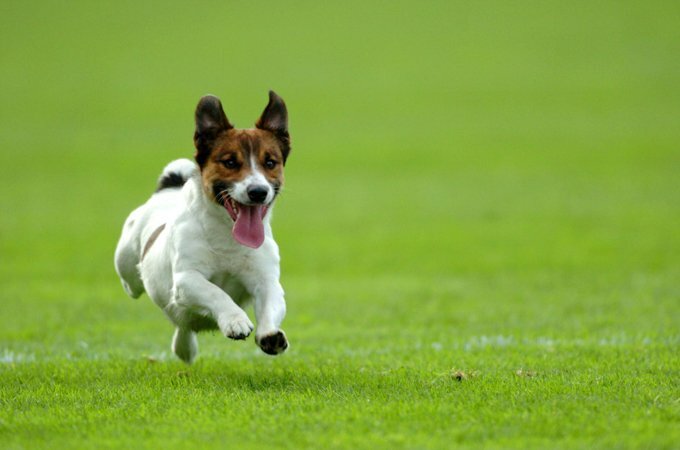 He's got energy to burn, and needs an owner who can give him about an hour of vigorous exercise a day — if not herding flocks, then competing in dog sports like tracking, frisbee, or agility. Like other smart working dogs, he loves having jobs to do, so begin training this smart cookie early, teaching him to gather up dirty laundry, bring in the newspaper, fetch your slippers, or other useful tasks. The Entlebucher can be territorial and will bark to announce the presence of strangers or arrival of guests. He's aloof with people he doesn't know, and like any dog, he needs early socialization to learn how to behave around strangers and other dogs. He loves his kids but, because he also loves roughousing, he must learn to be gentle with little ones. He may try to "herd" his kids by nipping at their heels. Males are 17 to 21 inches at the shoulder; females are 16 to 20 inches. Weight ranges from 45 to 65 pounds. The Entle's coat is thick, dense, and tricolored. The coloring is mostly shiny black, with white on the chest, all four feet, and the tip of the tail, as well as a white blaze from the muzzle to the top of the head. Areas between the black and white are rust-colored. They have a thick undercoat and a top coat. Weekly brushing will help keep shedding to a minimum.